Unknown location Update Zip code Here. How Are Solar Panels Installed? Lower your monthly utility bill!You can pay less to power your home with predictable rates. Want to lower your energy costs? 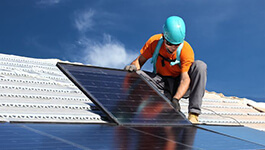 The solar Investment Tax Credit (ITC) is a federal program which grants a 30% dollar-for-dollar reduction off income taxes to individuals or companies installing solar power electricity systems. It has been a boon to the renewable energy industry ever since its enactment in 2005, and the recent news of the act’s extension will have far-reaching implications for solar energy. In mid-December of 2015, Congress passed the bill extending the tax credit through the year 2022, although the actual credit amount will gradually be decremented from the present 30% during each year following 2019. The people and companies installing solar panels for electricity are not the only ones who benefit by the tax credit extension, however. This extension represents a huge boost to the solar industry as a whole, and by the time 2022 rolls around, nearly half a million individuals will be employed by solar power companies. That would nearly double the current number of workers involved in solar energy, and most of that employee increase would not have happened without the tax credit extension. The national economy will also receive a boost as a result of the tax credit extension, with a projected additional investment of $132 billion over the next five years. By the year 2020, it is also estimated that the solar industry will be pumping as much as $30 billion into the US economy, thus becoming a major contributor to the country’s overall economic health. Since the ban on oil exports was also lifted by Congress, that means that an additional 10 million metric tons of carbon dioxide is likely to be injected annually into earth’s atmosphere by the purchasing countries. By the year 2019, all that extra tonnage of CO2 will be completely offset by the increase in solar power panels, which are green in nature and do not involve harmful emissions. Assuming solar power grows at estimated projections, in the year 2021 it will offset the CO2 emission outputs of more than 20 million passenger vehicles. 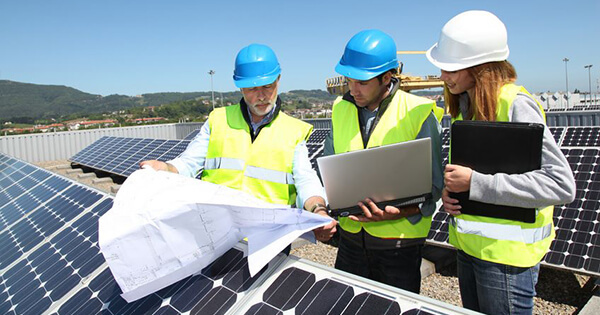 Because the tax credit extension provides a huge measure of certainty for solar markets to invest in long-term development and projects, the results will be better technology, innovation, and stronger competition amongst solar companies. This in turn is a big help to consumers, who will enjoy reduced solar panels cost and overall cheaper installation expenses. By 2022, more than 3.5% of all American homes will be powered by solar panel electricity, with high costs continuing to decline. As alluded to above, the extension of the ITC also helps solar companies themselves, because they now know exactly what the framework of the federal tax credit allowance will be indefinitely. This allows them crucial time to prepare financially and to take advantage of the years when the credit is at its maximum value. Learn the basics about solar energy, what it is, the main benefits, and how solar photovoltaic systems work as well as other common questions. The list below will help you in the process of finding the right solar provider in your area. How to Maintain Solar Panels? How to Install Solar Panels? How to Compare Solar Panels? How Solar Photovoltaic Systems Work? Find out what you can save! Renewable Energy Be green and use energy that will naturally replenish. Get Clean Energy Power your home & appliances with nature's light. 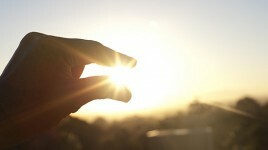 Be Sustainable Be independent and harness the sun's power yourself. How do I compare Solar Panels? How to Compare Solar Panel Companies? How Do Solar Photovoltaic Systems Work? You can lower your utility bill today and save thousands in the coming years. Start with TopSolar.com and pay less to power your home! TopSolar.com Copyright © 2019. All rights reserved. All images are for illustration purposes only. Standard messaging and data rates map apply. TopSolar.com is a marketing lead generator, with its main office located at 44 Wall St, Suite 505, New York, NY 10005, USA. Telephone number: 1 (855) 385-7845.